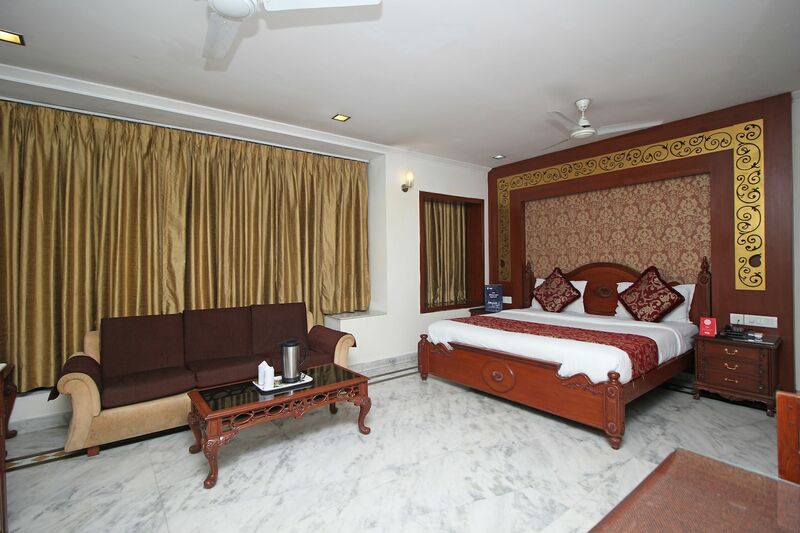 The Swagath hotel is located in Malviya Nagar in Delhi. There are many places of interest in the vicinity including the Lal Gumbad and Hauz Khas Fort. Qutub Minar, Garden of Five Senses and Mohd Quli Khan Tomb are also located at a distance of few kilometres. The furniture and furnishings of the room have regal vibes due to carving and golden shades everywhere. You can enjoy the facility of mini fridge, air conditioning, power backup, geyser, room heater, elevator and laundry services. There is a dining area for the guests as well. You can visit the Select City Walk mall or DLF Mall for vivid shopping experience.